Winter has arrived, bringing with it freezing temperatures….well, at least by Aussie standards. As the chill sets in and the humidity dries right out, the way our skin looks and feels is on the line. Say goodbye to the summer greasies and a resentful hello to drier, flakier skin that’ll need a good dose of TLC to set right. If you’re experiencing a parched complexion this winter, keep on reading to discover five essential ingredients you desperately need in your skincare routine to keep perfectly hydrated, smooth and fresh. If there’s one non-negotiable ingredient in every dry-skinned gal’s skincare routine, it should be Hyaluronic Acid, also known as HA. HA is a tricky one to comprehend, but it essentially holds up to thousands of times its weight in water molecules, then binding these to the skin for a more moisturised complexion. It’s also vital for smoother, plumper skin free of fine lines, so think of it as your anti-ageing savior. 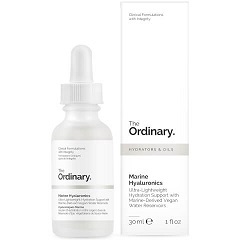 Our pick: The Ordinary Marine Hyaluronics . This newbie features a super lightweight yet potent concentration of HA, meaning it’s ideal for any skin type. Apply it after your cleanser and toner for newly hydrated skin. Perfect for applying on both the face and body, shea butter is nature’s most beloved moisturiser. Slather it on your legs and arms for smoother skin that resists the winter chill. If you experience really dry skin on your face, find a moisturiser that’s enriched with this key ingredient to help lock in nourishment. Our pick: Antipodes Grapeseed Butter Cleanser. All natural and full of key botanical extracts, this rich cleanser is perfect for the winter time. Dry skin tends to flake, leaving scaly patches all over your skin – definitely not a nice feeling! 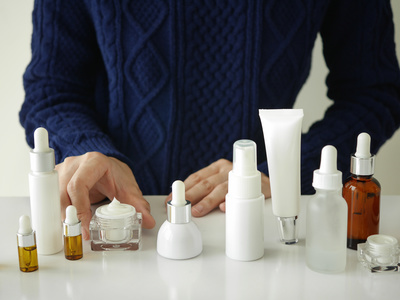 Deter pesky dead skin cells by adding a chemical exfoliator like Lactic Acid into your routine. Lactic Acid is perfect for dry skin types, as it simultaneously nourishes the skin while it buffs away at those excess follicles. 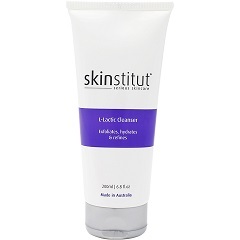 Our pick: It’s a toss up between the Skinstitut L-Lactic Cleanser and The Ordinary Lactic Acid 5% + HA 2% Superficial Peeling Solution . The former is a shower essential, whereas the latter is a serum formula that can be applied before you hit the sack for ultimate exfoliating action. It’s important to pack your daily routine full of antioxidants like Vitamins A, B, C and E year ‘round, and the cooler months are no exception – in fact, it’s even more vital during winter. Antioxidants ensure skin is protected against the elements, including pollution and free radicals, and also deliver a whole host of benefits. Vitamin C is an excellent anti-ageing hero, whereas Vitamin B (AKA niacinamide) increases fatty acid production, meaning skin stays supple and smooth. Our pick: any of the vitamin serums from asap Skin Products. Try the asap Super B Complex for your daily niacinamide boost (hey there, perfect skin) or the asap Super C Serum to unlock the protective, restorative properties of Vitamin C.
Finally, we’d be remiss to not include some natural faves, especially in the midst of the growing organic beauty trend. Natural oils are pure ways to give your skin a little hydration, meaning they won’t clash with any of your other products and can be applied at any time. Although there are SO many oils to choose from, we recommend rosehip, argan, jojoba, coconut or flaxseed. 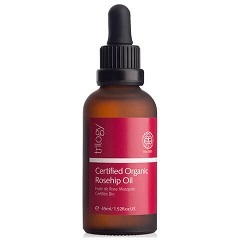 Our pick: No winter skin routine is complete without the Trilogy Certified Organic Rosehip Oil, made in NZ and packed with 80% essential fatty acids for supple skin. Need to stock up on your winter beauty must-haves? Be sure to check out the brand spankin’ new RY Winter Edit over at ry.com.au for all your cold weather skincare needs.